Google has become a household name that people all over the world use as a verb to describe the act of searching the internet using a search engine. However, now that more personal data exists about every user, how do we protect their data privacy and ensure that they actually own their own self-generated data? 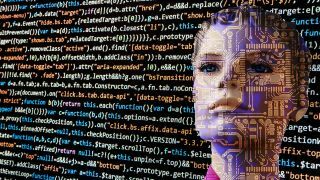 TechRadar Pro spoke to Frank Cha from Xiliab, South Korea’s largest artificial intelligence operator and leading player in big data, to hear more on how its new data trading platform DataXchain aims to be the search engine of the future. 1. Why do you feel DataXchain is "the next generation" of search engines? Dataxchain engine is the next generation of data trading engine which enables not only data processing such as automatic data collection, classification, tagging, and curation but also enables data transactions. These transactions are directly applied to human development without human intervention by pre-processing data matching and deep learning engine. These trials can be accessed to the implicit knowledge through the intervention of people that the traditional search engine already had. 2. What are some of the challenges behind developing such sophisticated AI? The biggest challenge is to make a connection with people who empathize with it. When this connection becomes a chain, we will be able to exchange value for private data of each individual or organization and it will bring innovation to sophisticated AI in dataxchain such as uyuni or x-label. This is the goal Tobelet strives for and it can be achieved through ICO in dataxchain. 3. Do you have plans to roll out your technology to customers soon? We are planning to release a full demo by 1Q, 2019 and Alpha & Beta by Mid 2019 and full-service launch by 4Q, 2019. 4. You mention X- Labeler being used for defence and national security purposes. How can this translate into a consumer-facing search engine? The x-labeler navigation is a video technology that has key functions in the field of surveillance, such as the military security side. It is also a common module that can be applied to data analysis for the convenience, health and safety of citizens. Therefore, It is possible for ordinary citizens to use the X-labeler engine with the data-tagging application and no separate development is needed. 5. How big an effect do you think AI can have on our daily lives in the future? AI will enrich our lives. Until now, mankind has been agonizing over the changes of life in terms of effectiveness and efficiency. However, AI will bring about changes in terms of enrichment and a quality environment in our lives. AI is also expected to faithfully perform the data analysis and data support for secondary decision making for human development. It will especially be developed through combination with blockchain technology and It will have a synergy effect.